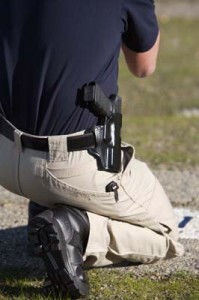 What is the best concealment clothing? 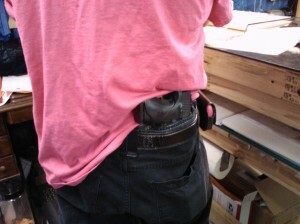 Home » F.A.Q.s » What is the best concealment clothing? This has been debated in so many columns and this is just my opinion based on experience. Obviously if you plan to be spending most of your time in the office where every one is wearing a shirt and tie, walking in wearing 511 tactical clothing or a photographer vest will scream “I am carrying a gun”, and also make you a target to the bad guy because he knows what to look for. They look for weakness to target and strength to attack or to defend against. So let’s think about how to dress that will give you the advantage. First you can dress just like every one else and blend in. This is what most everyone tells you to do. The problem is that now you have to hide everything that sets you apart. 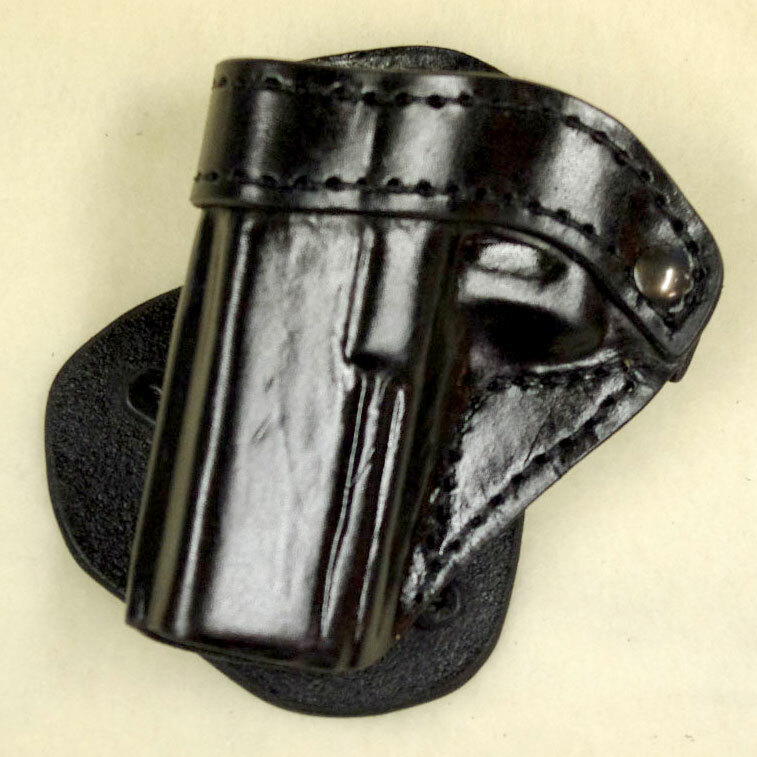 The clips or snaps on the holster, the knife, the flashlight, the tactical pen . You get the idea. You really can not just blend because you are different than the sheepeople, you are aware and that alone makes you stand out. So think about the people that you try to avoid looking at hard because you don’t want to be accused of either associating with them or accused of judging. The guy that wears the bright shirts; he conforms to the dress code but has to add some flair. Think about it. Do you ever look at his waist? Or how about the guy that dresses the same as everyone else but is always just a little messy in his appearance? Do you ever consider either of them as a real threat? Think about what the first impression a bad guy will get. Where is their focus going to be? Controlling the sheepeople to get what they want. Their reaction to the brightly dressed person will be the same as yours. If you see the guy walking around the mall wearing a pink t-shirt do you, or for that matter the bad guy, focus on him? He could be carrying a shotgun under his shirt and you wouldn’t notice. Again an advantage for him. 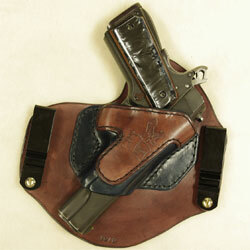 So what is the best clothing for concealed carry? Dress to conform to your environment and then add the flare that takes the focus off of you. Since you stand out because you are aware find a way that makes you stand out and that makes them think that is the reason they noticed you. It creates an illusion that gives you an advantage. The illusion is the key. The meek man following his wife around in the mall carrying her purse; not a threat but he could be carrying a Dessert Eagle 50AE in that purse, and be more prepared to defend himself and his wife than you carrying the Ruger LCP because you had to wear the shorts to blend in or, maybe you are just so concerned about how you appear to others. Vanity will not protect you or your family. Create an illusion that will take the fact that you stand out normally and disguise it as something else. The clothing that makes them see you as non-threatening. You are still aware, so you will not be a victim. They just won’t know why they do not want to attack you. The guy walking down the hall wearing the hat that says Glock or the guy that has long hair and a pink phone; which one are you are watching? I always have a gun and you don’t even look at me. dear Jay, I am dressed everyday business casual and would like to find a way to carry daily without being noticed. It one of your product suited for a S&W 9C, or is that gun too thin and would you recommend to consider purchasing a sub compact thinner gun? thank you. 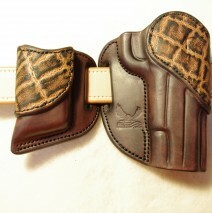 How would I know the best way to carry my sig 1911 ie…. Left side…9 o’clock . Right side … 4′ o’clock or front of my pants….?? I’m right handed but… People say you should not put it @ the 4′ o’clock because they would see you reach so your movement is then who draws first.!!?? I am wanting to order but because I cannot go into a shop and try…. I’m a little worried..,. I want the correct one. What could you suggest .?? You have asked many questions. 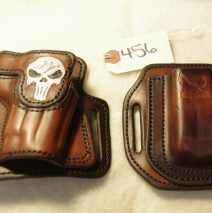 First If you get one of my holsters and you do not like it I have a guarantee If we can not make it right I will buy it back less shipping. In most situations it will not be who draws first because the bad guy will already have his gun pointed at you when you decide to draw. 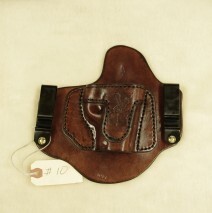 You are not going to a gun fight but you don’t want to be unprepared if one comes to you. So carry position is based on practice and comfort. 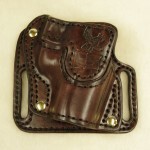 I carry at 4 o’clock and I am comfortable enough that If I need it I will be able to get to it. 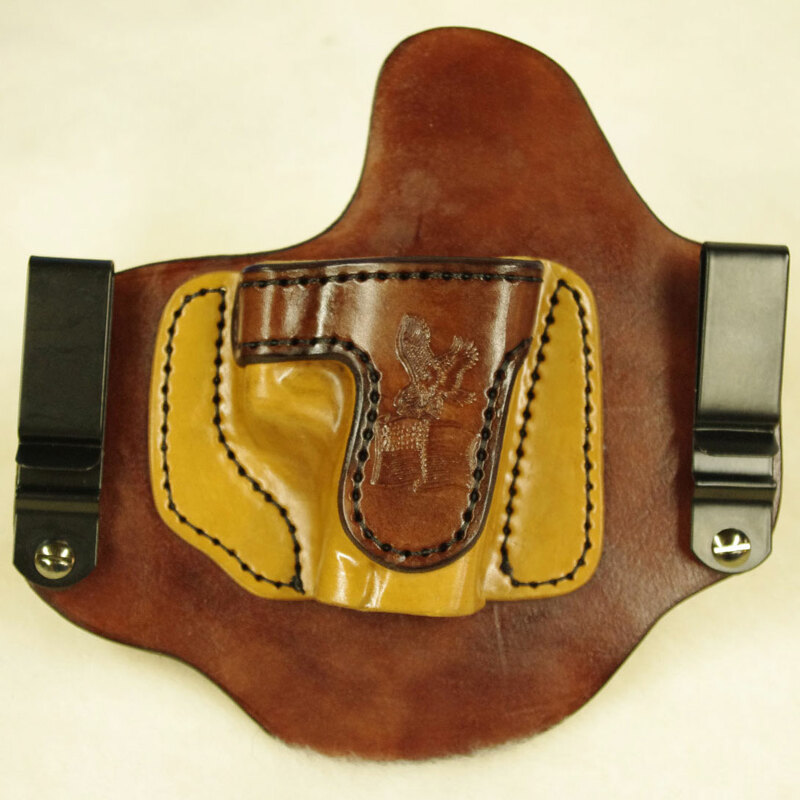 If you are still unsure please call me 989-941-6242 and I will be happy to talk to all your concerns and If I cant make a holster for you I will help you find a holster maker that can.